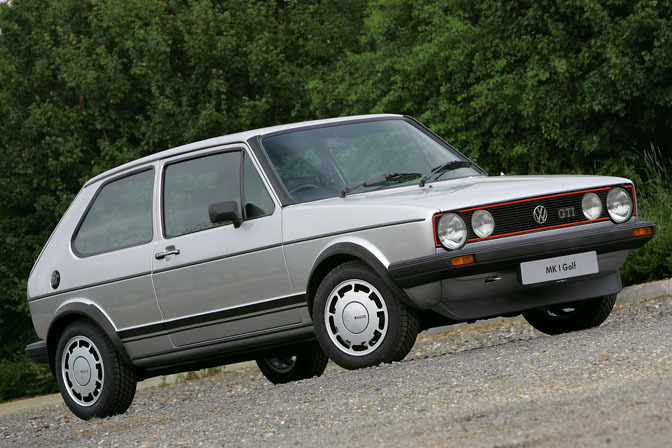 Volkswagen UK recently published a press release highlighting the 33 year of Golf GTi history, which makes interesting reading. I thought this could form the basis of our latest Retrospective piece, on the original hot hatch. If you are old enough, cast your mind back to 1975! 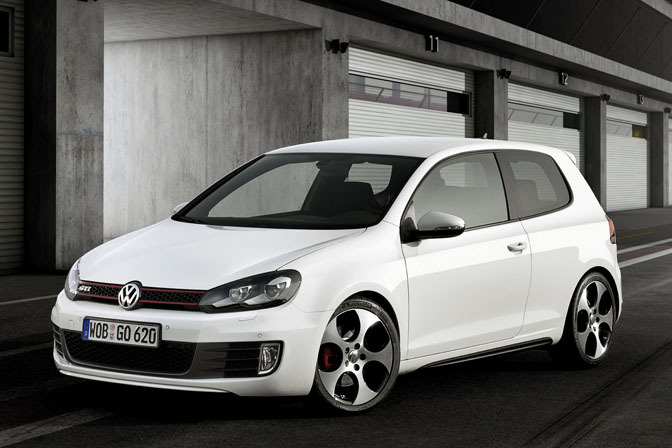 The Giorgetto Giugiaro designed Golf GTi is launched at the 1975 Frankfurt Motor Show with a 1600cc 110PS engine. One of the first ever hot hatches (there had been others such as the Renault 5 Gordini, but this moved the goalposts) . The UK market had to wait until 1977 before it received its first Left Hand drive vehicles. The car was available in right hand drive the following year. The car was a instant world wide hit. Other manufactures rushed hot hatches to the market place. 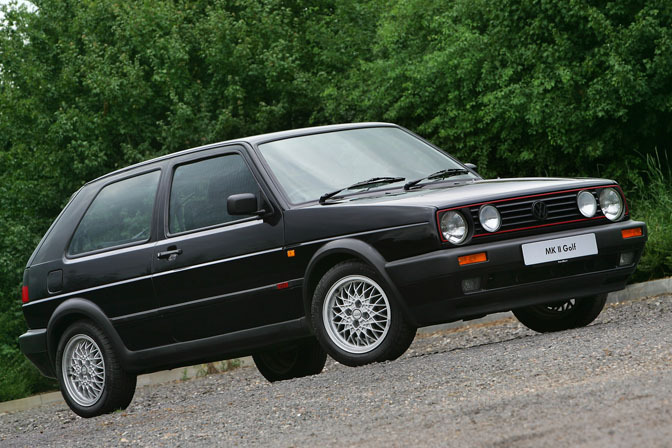 This was the GTi in its purist form. Initially, an 8v 1800cc version was available. Europe also saw the 5 door hatchback version offered. Later in its life a 16Valve version was introduced. In 1989, a facelifted 'big-bumper' update was introduced, shown above.. Many owners upgraded their cars to the big bumper version. The third Generation Golf grew in size again. In Europe, a new 2 Litre engine was introduced in 8 Valve and 16 Valve form. As before, this was available in 3 door and 5 door form. European cars had subtle black fender extensions, missing on North American built cars. 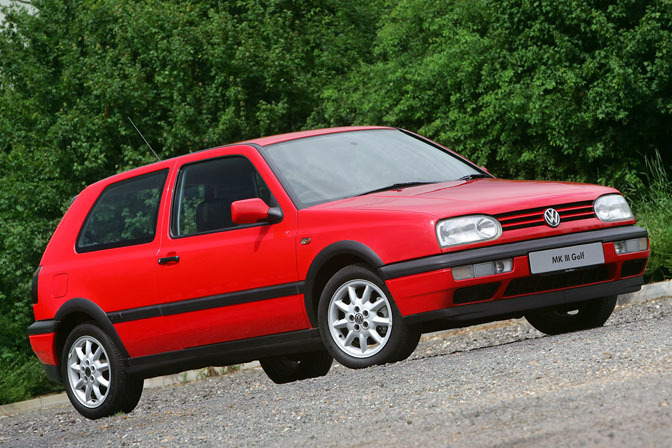 The Golf range moved further upmarket with the fourth generation in 1998. This generation also saw new range of engines during its lifetime including the introduction of the 150PS Pumpe Diesel. 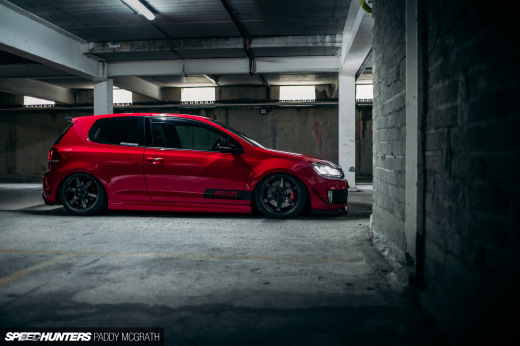 Volkswagen introduced their first high performance 'R' range model, the R32. The Fifth Generation was introduced in Europe in 2004, but North America would have to wait until the end of 2005. In Europe, the GTi was available in Petrol and Diesel forms. A new 2 litre T-FSI engine was introduced with a six speed gearbox. 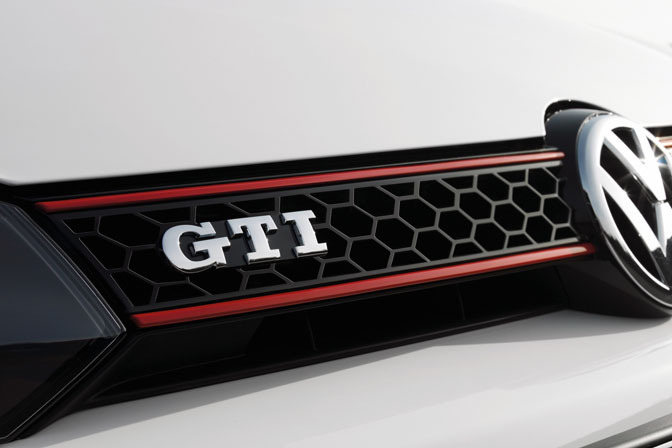 Subtle design cues from the original GTi were introduced including Tartan interior, GTi font and red keyline around the grille. The R32 would also be available in this body style, but the ultimate Golf would be the W12 Design study which was powered by a 6 Litre 650PS W12 engine. This car also gave some visual clues to the new Volkswagen design language seen on the latest Scirocco and new Golf. 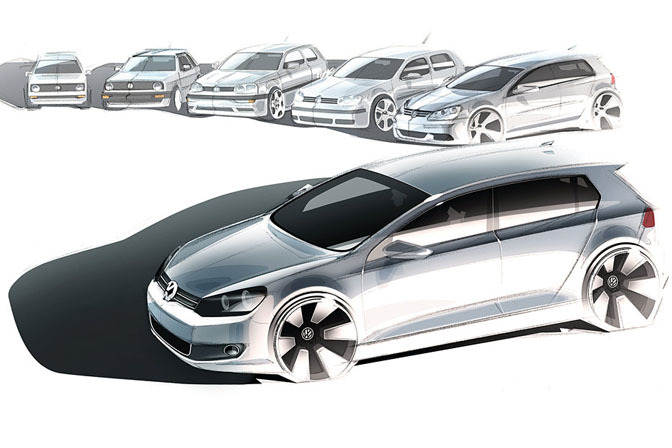 The Sixth Generation of the Golf GTi was displayed at Paris Motor Show in Concept form. The new car was shown with the 2000cc T-FSI powerplant giving out 210 PS with a top speed of 148mph. Expect production versions to also have the all-important TDI engine. The front of the car shows Volkswagen's new design language, which is similar to the Scirocco. The red keyline on the grille and Telephone dial wheels hark back to earlier Golf GTi models. 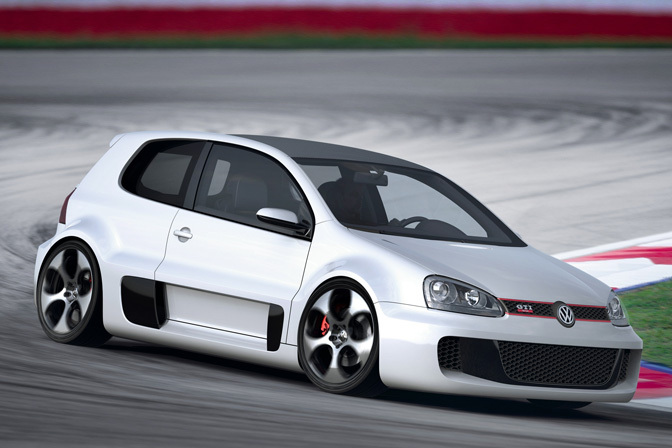 The new GTi will be in production in Europe in early 2009. No indication on when North American sales will begin. What earlier model had the hideous phone dial wheels? I don't know of any. 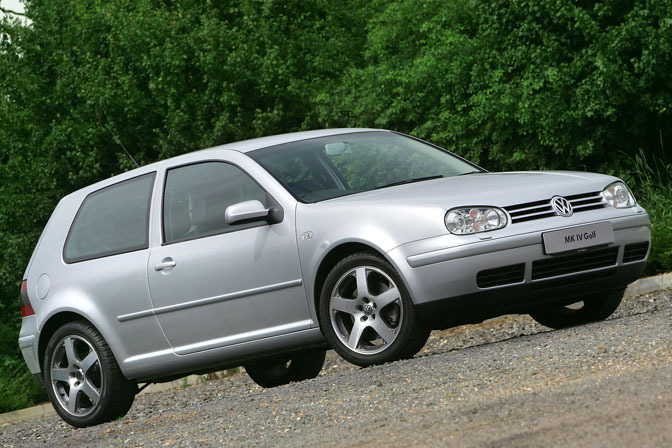 For the Mk4 GTI it came initially with the 2.slo and then moved on to the 20v 1.8T with 150bhp, but in 2002 this became 180bhp with the addition of the k03s turbo instead of the k03 (the s has the exhaust wheel from a k04 i believe, the stock turbo in an Audi TT of the same vintage, 225bhp on the same engine). Mk4's also got the VR6, at first it was the 12v making 170bhp as with the Mk3's, but later they were improved and became the 24v making 200bhp. As I mentioned in the article, this relates to UK (Europe) Specifications. 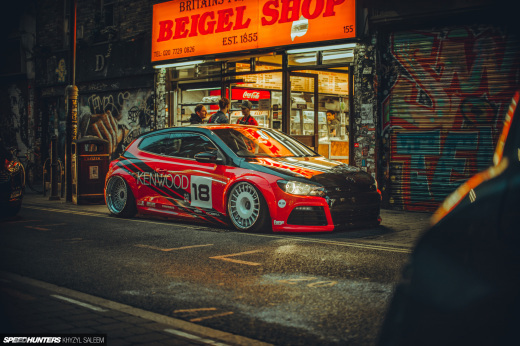 The red car is NOT a VR6.I owned a 5 door Mk3 GTi with the same wheels, so maybe the wheels are diferent to the North American (Mexican?) built cars. I think VR6 models had a different badge on the body moulding as well...but I might be wrong. Mk4.Again, the VR6 was not a GTi model in Europe. Mkvs were costing them too much money which is the reason for the mk6. 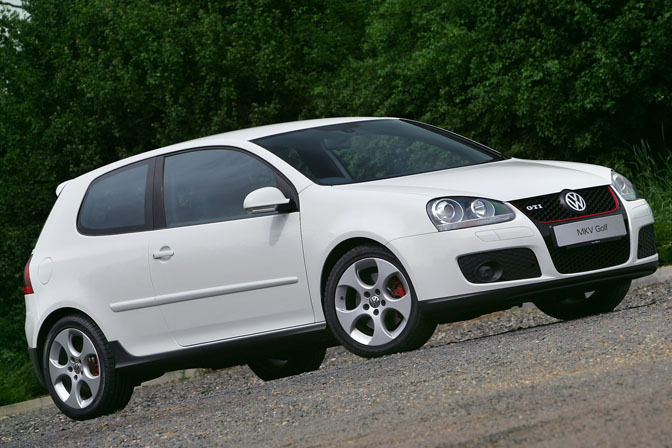 VRs were a completely different model to the GTi as andy said above. that's really interesting! just goes to show how different things are for us colonials ;D i do know that Canada has always been a bit of a market testing ground for NA... for instance we got the B3 Passat Syncro and iirc the states never did, we had the corrado for at least one year longer and in different trim levels, we had a 1.8L 8v mk3 golf etc etc etc etc. certainly an eye-opener though. i forgot that there was a 16v Mk3, we only ever had that engine (the 9A, i had it in my old passat :D) in B3 passats and Mk2 GTI/GLI's. BTW i think those wheels are called Longbeach, not to be confused with the Mk4 wheels of the same name (17" split five-spokes). i much prefer the new look anyway. 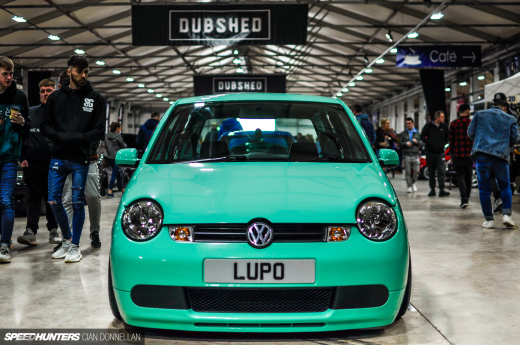 with the MkV it took a while to grow on me but this is almost instantaneous liking, much more to my taste. the foglights are innovative in their shape and placement, as well as the new dual exhaust tips (though dual exhausts on inline engines has never made sense to me...) which are set further apart than on the MkV R32 (like a foot apart in the middle), i very much approve. MKII until I die. I'd take one over any of the ones since then. we'll be talking about the mk7 soon enough, since the mk6 is only going to have a 3 year product cycle.